The Samsung Galaxy Note 7 could be Samsung’s next flagship device or may be the last device for year 2016. 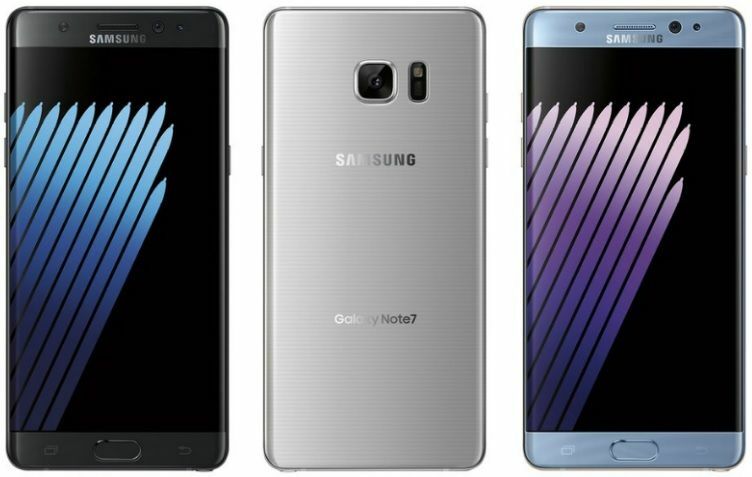 We have also seen various leaks and rumors about the new Samsung Galaxy Note 7 these days but today we have brought to you all the latest news leaks, rumors, release date, specifications, features and prices along with first actual image of the Galaxy Note 7. So lets just start. Samsung hasn’t made any announcement yet regarding its Galaxy Note 7 launch date or when the company will official unveil the Galaxy Note 7. May be sooner or later Samsung will make any announcement for the Samsung Galaxy Note 7 launch date officially. When it will go for sale? Last year Samsung launched the predecessor of the Galaxy Note 7 on August 13, and this time Samsung is expected again to launch the Galaxy Note 7 in August, some source have hinted that Samsung could launch the device on August 2, 2016. The Design of the Galaxy Note 7 doesn’t seems to be very different from its predecessor, but it has definitely received an IP68 rating, which means that the Galaxy Note 7 will come with waterproof and dustproof capabilities. The Galaxy Note 7 is expected to come with an aluminum frame featuring a front and back of Gorilla Glass and a natural opening for the S Pen stylus. Above you can see the first actual image of the Galaxy Note 7. The image clearly shows the sensor array housed in the top bezel and most importantly the ‘edge’ screen that makes it clear that this year users will get first ever curved-display Note. 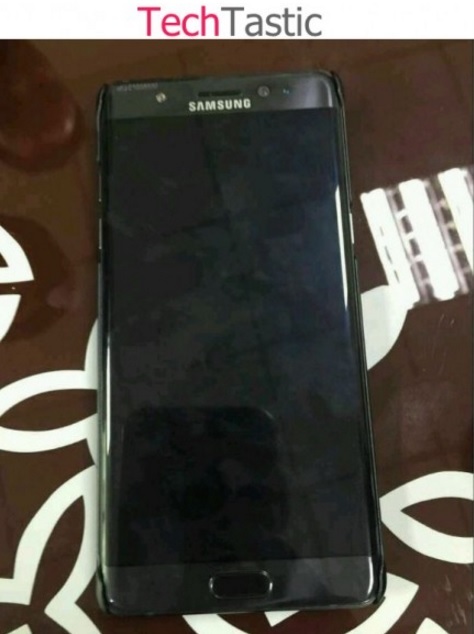 We are not sure about the actual display size of the Glaxy Note 7, but according to different leaks and rumors it is expected that the Galaxy Note 7 will feature a dual-edged 5.7″ or 5.8″ QHD super AMOLED touchscreen display. The Galaxy S7 is expected to come with a 12-megapixel camera with and an f / 1.7 lens that will allows much more light falling on the sensor and enable users to take better photos in low-light condition. The camera on the Galaxy Note 7 is also equipped with the Dual Pixel Technology, which uses all pixels on the CMOS sensor for autofocus. At the front, the Galaxy Note 7 is expected to have a 5-megapixel camera for taking selfies. The Galaxy Note 7 comes with Samsung’s own Exynos chipset or processor from Qualcomm, that could be the Snapdragon 820 or Exynos 8890 coupled with 4GB AND 6GB OF LPDDR4 RAM. The Galaxy Note 7 is also expected to come with storage options at 64GB, 128GB, and 256GB that would also be expandable to further via micro SD card. The device packs a 3,600 or 4,000 mAh battery and a USB Type-C port. It is not yet clear whether the the Galaxy Note 7 will be running on Android 6.0 Marshmallow or the new Android operating system N, which is yet to be release and hasn’t got a release date. Based on various rumors we have received different pricing details about the Galaxy Note 7. Some say that the retail price of the Galaxy Note will go around 800 euros in Europe, some others speculated its price around 849 EUR (roughly Rs. 63.000) in Europe, which is 50 EUR more than the Galaxy S7 Edge.